Similar to the importance of the Christmas Day for the westerners, the Spring Festival is the most important celebration for Chinese people. Although the meaning and the methods of celebration of the Spring Festival are changing with the time, the important status of the Spring Festival is incomparable. 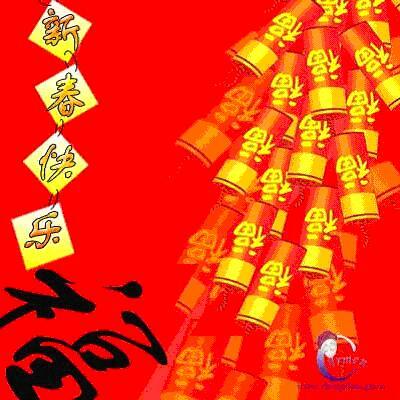 Chinese Spring Festival has a long history, which is nearly four thousand years old. Initially, the festival had no name or fixed date However, people called Spring Festival “the age” according to the revolution period of Jupiter by B.C. 2100. Before B.C. 1000, people used “the year”, which means “Great Harvest” representing the Spring Festival. According to the traditional custom, the Spring Festival lasts from the 23rd day of 12th lunar month to the 15th day of 1st lunar month, and the climax should be the New Year Eve and the first day of first lunar month. People carry out a lot of activities all over the country to welcome the Spring Festival. In the countryside, this kind of preparation starts from the beginning of 12th lunar month. All the families clean their houses, wash their clothes and bed sheets. Fresh new clothes and sheets commemorate the fresh New Year! Special New Year purchases are also important parts of upcoming New Year. In the city, they celebrate the New Year with art teams performances, various entertainment parties, and the big parks hold “temple fairs” to provide, recreation, food and art!. There are different traditional customs in different parts of China, but the whole family having reunion dinner together in the New Year Eve is indispensable. In the South China, the reunion dinner usually has more than ten meals including bean curd and fish, because the pronunciation of these two meals means “wealthy” in Chinese language. In the North China, most of the reunion meals are dumplings, which are made and eaten by the whole family. Usually stay up late and set off fireworks on New Year’s Eve. By the first day of first lunar month, people are wearing festival dresses and begin to visit or welcome family, friends and loved ones. They greet each other “Happy New Year” and “Happy Spring Festival” and invite guests to drink tea and chat at their home. There are a plethora of activities during the Spring Festival including opera and movie performances lion dances and temple fairs. There are also people who prefer to stay at home and watch television. Pasting New Year scrolls and watching festive lanterns are also the traditional movements for the Spring Festival celebration. This entry was posted on Saturday, February 17th, 2007 at 5:40 pm	and is filed under Interesting Stuff. You can leave a response, or trackback from your own site.